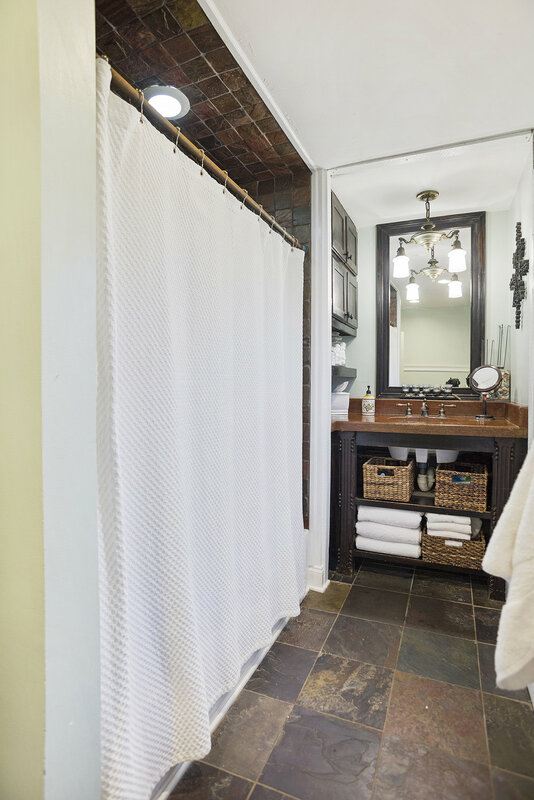 Charm and extra detail throughout make this a house that has it all. Eloquent beauty radiates from this 4 bedroom, 2 bath meticulously maintained home. From the moment you step on the amazing wrap around front porch and through the front door nothing will disappoint. 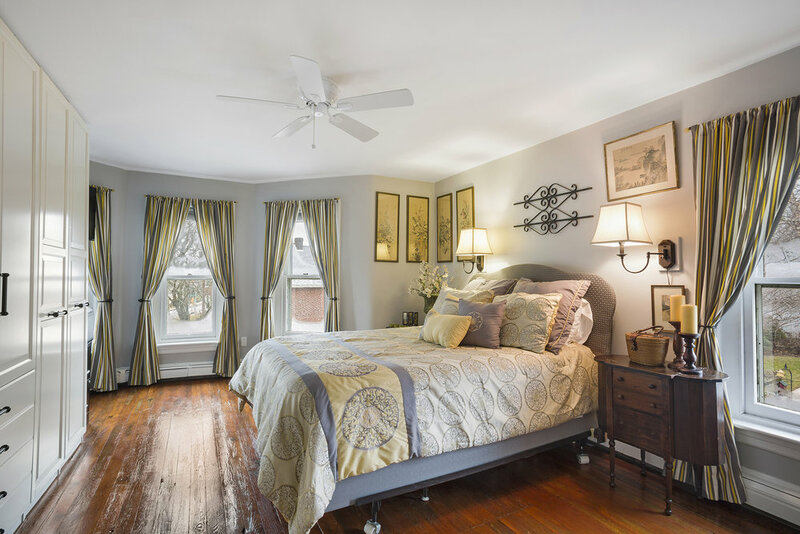 Upon entering you are immediately greeted with stunning hardwood floors and custom wood features that make a grand statement. This extremely bright and clean kitchen space also features an extra large stainless steel farm sink, modern pendant light fixture and shaker style cabinets with soft close. Completing this amazing layout is the eat in nook including a dry bar with lighted cabinet for storage and beverage fridge. Off the kitchen the great room stuns with a wall of windows and french doors overlooking the gorgeous backyard. No detail was overlooked here with radiant tile flooring, two skylights, a gas fireplace and built in entertainment center with tv insert. You will enjoy the warmth and beauty of both the inside and outside while relaxing in this space. A fully renovated bath finishes off this floor. Upstairs are 3 bedrooms, all individually just as special with great natural light and hardwood floors. 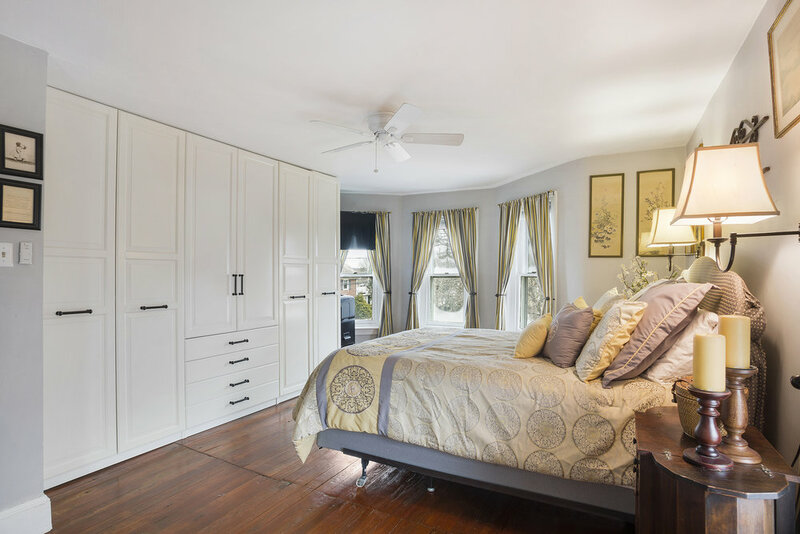 The master bedroom boasts an impressive wall of storage with a large lighted closet area. Two more bedrooms and a gorgeous full bath with a concrete countertop vanity, slate floors and tile shower surround complete this floor. 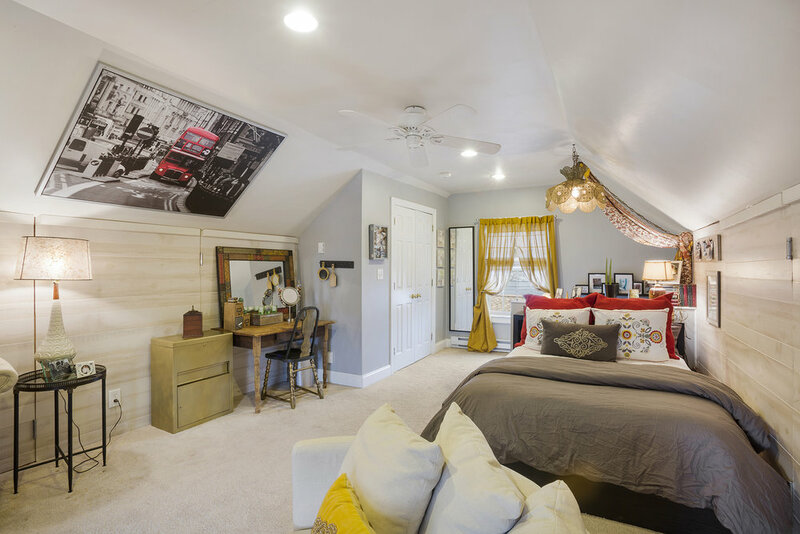 The attic was remodeled in 2014 creating an expansive 4th bedroom with upgraded electric, new large window installed, electric baseboard heating, a large closet and lots of hidden storage behind the walls. The full unfinished walkout basement has a workshop, laundry hookups and more storage space. The large flat backyard is an oasis with a 2 car large pole barn with cement floor, 4 car parking area, playhouse/potting shed and a large brick patio with outside electric outlet and light for entertaining. Located in the Pennridge school district, close to major throughways and downtown.